When I went to Hutchinson to spend the day with my sister, we had an old friend over for dinner. She brought with her a friend who was visiting from Tucson, whom I've never met. We'll call her "Lisa". * Anyway, she's been stalking my blog for some time now and knows more about me than I do. I asked her if she was going to "Misery me". She thought that was hilarious, because, well, she's my number one fan. Also she loved my band's song. *Name has not been changed. UPDATE: This post got me thinking. Are you a silent, secret fan of A Lady Reveals Nothing? Where are you from? How did you find me? What's your favorite feature of my blog? Travel stories? Me embarrassing my dad? Old relic poop memory stories? '-isms'? Are you planning on murdering me? BUT, according to my status counter, I'm getting about 100 hits a day and I know my mom doesn't click that many times. So here's your chance. WHO ARE YOU? A word to the wise Miss Kady, you really don't want to make "Lisa"* mad. ha! Lisa is the most amazing person I have ever met. Did I forget to mention that!? I'm all about the poo. I like it all, but I'm partial to the Hal-isms. And poop stories. And the travel. I like that because I can experience the world through you and I never have to get uncomfortable or inconvenienced. I stalk you. I like to 'hear' about your life. It's always so funny. Is your life really that funny or do you just funny-ify it? My life isn't so much funny, as it is embarrassing. I like to think of it as 'one embarrassment to the next'. In fact, I like that for a title to my book. I am split between the travel stories and poo...like them both! Thanks Jill! And h, and Sarah and K8 and Lisa and Marla and Davin and Kim and Mark. It's good to know people enjoy this stuff about which I risk my life to report. And I'm not talking about dangerous travel. I'm talking about my dad. It's like I always tell him. (Usually when he has just said, 'this better not go on that Way Tube'): "Dad, I'm a journalist. I just report what I see." Yes Marla is OLD. 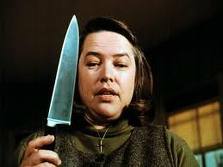 and I just finally figured out who Annie Wilkes is who has been commenting on your blog. That is what happens when you don't read for 3 weeks and then go backwards instead of start from the beginning. You're my no.1 embarrasspiration! Love, your silent scandinavian reader. Thanks, Minea!! I think you just invented my favorite new English word.